With Valentine’s Day fast approaching many couples in Paris are planning candlelit dinners and romantic strolls through the most romantic city in the world. Adorable, right? So, this Valentine’s Day after living in the city of love for almost 6 years now, I have decided to do something DIFFERENT. This Valentine’s Day I am going rock climbing. Yes, rock climbing. the sauna, it’s 15 euros and everyone from beginner to expert is welcome. If you like sport and want to have a bit of fun, this place is perfect for you! For more information click here. Generally, I prefer to spend Valentine’s Day with a group of people and bowling is the perfect solution! You get the chance to let your competitive side come out as you bowl against your other halves, naturally kicking their butts in the process. My favourite place to bowl in Paris is Le Bowling Foch on the Champs Elysées, but be quick, you usually need to book! For more information click here. 3. 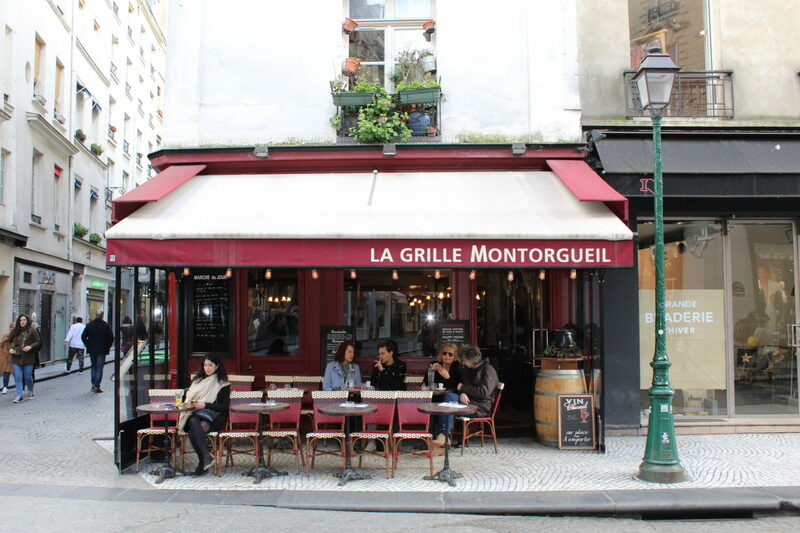 Walk around Le Marais and stop for food at Derrière. This year Valentine’s day falls on a Sunday and anyone who knows Paris well, knows that Le Marais is the only place to be on a Sunday. The area is bustling and full of life with an array of locals, expats and tourists mingling together harmoniously. It’s an incredibly beautiful place with tons of history so take a walk and enjoy your spectacular surroundings. Then, when you start to feel hungry, Derrière is the place to go for a unique dining experience. Derrière looks more like a shabby chic Parisian apartment than a restaurant but once inside, you’ll find guests drinking, dining and flirting in the bedroom, living room, dining room or boudoir, making themselves quite literally “at home”. There’s even a Ping-Pong table and a smoking room hidden behind a mirrored wardrobe…très chic. This restaurant offers a unique experience in a comfy setting. 4. Take a Bike Tour around Paris with Bike About Tours! You’ve undoubtedly seen the big brash bus and boat tours that frequent the city daily, but why not try something more unique and frankly, much more interesting? Bike About Tours can offer you a Parisian Day Bike Tour for only €32.50 (€30 for students) for a 3 and a half hour tour. And on top of the very reasonable price, you are in a small group so your experience is guaranteed to be more enjoyable than being in a large group. Bike About Tours is highly recommended and offers tours on Monday, Wednesday, Friday and Saturday at 10am during the month of February. Just be quick because reservations are mandatory during the winter months! Click here to reserve or know more. Great suggestions! Perfect for any weekend when you want to try something new. I find myself running out of inspiration recently so this is great 🙂 thanks! You’re welcome Lillian! I’m so glad you enjoyed it!